This light-hearted Dizzy Gillespie song is the epitome of both the man and the Bebop movement that he helped popularize. At first, the jazz traditionalists were put off by Bebop because of its fast tempos, flattened fifths, and improvisation that focused on harmonic structure rather than the more familiar melody. 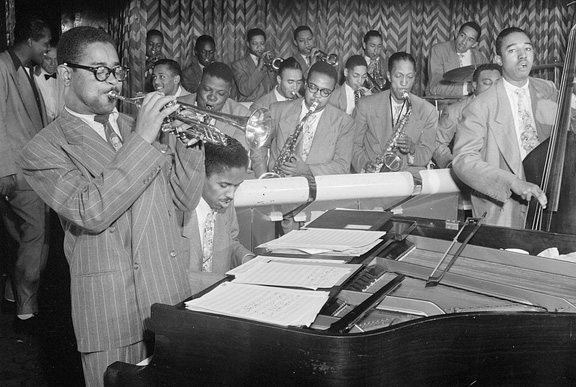 But Dizzy’s lovable presence – with his black beret, puffer fish cheeks, and bent trumpet – soon won the world over. I always felt an affinity for Dizzy and the Bebop era, maybe because of his ability to be so innovative yet so down to earth.